Wed May 19th. HA! Did Mines on my own. : ) According to common bike club wisdom, one shouldn’t do Mines without at least a couple of companions or, better still, a sag vehicle. Doing it on my own was fun. I have ridden alone in more remote areas and, in reality, Mines rd is full of people riding motorcycles, who in a pinch can be of some use. 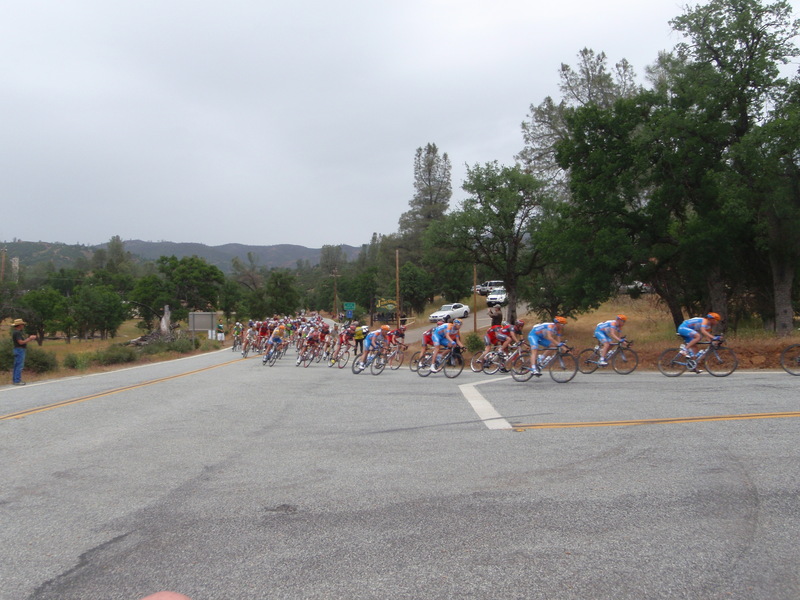 The Tour of California for Wednesday was: San Jose, Sierra Rd (! ), Calavaras, Sunol, Livermore, Mines Road, Del Puerto Rd, Patterson, and Modesto. I decided to take the BART train to Dublin/Pleasanton, ride out Mines Road to the Junction Bar and Grill, eat lunch, watch the race go buzzing by, climb Hamilton and then finally ride through Freemont to the train station and take BART back home. In the end, I did not climb Hamilton, but instead did an out and back on Mines, which is about an 81 mile round trip from BART. I was somewhat disappointed to not do Hamilton. Climbing Hamilton is so much more impressive than just doing Mines and you get to be on top of the world up there. However, the sky decided to rain on me and I feared worse weather on the mountain, since higher elevations often have worse rain, wind and cold. Further, I wasn’t all that keen on descending Hamilton in the cold and rain. I hadn’t brought a rainjacket, despite the slight chance (20%) of rain, because we have already taken off my fenders and I am of the belief that the removal of fenders prevents further rain for the season. Mines was gorgeous. Flowers, hills, green grass, bushes, trees, birds, etc, etc. Really, we all have been to places like that. Pretty pretty pretty and it never gets old. I used to hate Mines Road. 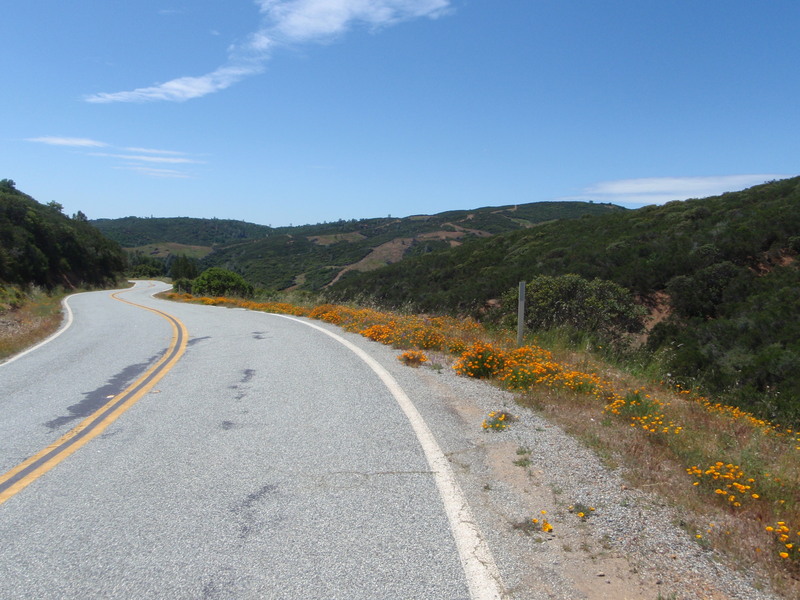 The long slight grade for 25 miles out to the Junction was demoralizing and hot. On and on, that road goes, ever so slightly climbing the entire way. The return is oddly worse. The climb out of the junction is steep and longer than it seems. I now love Mines, for I have learned the secret to Mines rd: Don’t do Del Puerto or Hamilton before climbing back out of the Junction. AHA!! I have never just done Mines before, I have always done it in conjunction with Hamilton or Del Puerto, which is second only to Jamison in my book for annoying climbs. (My book, by the way, does not include Sierra rd.) 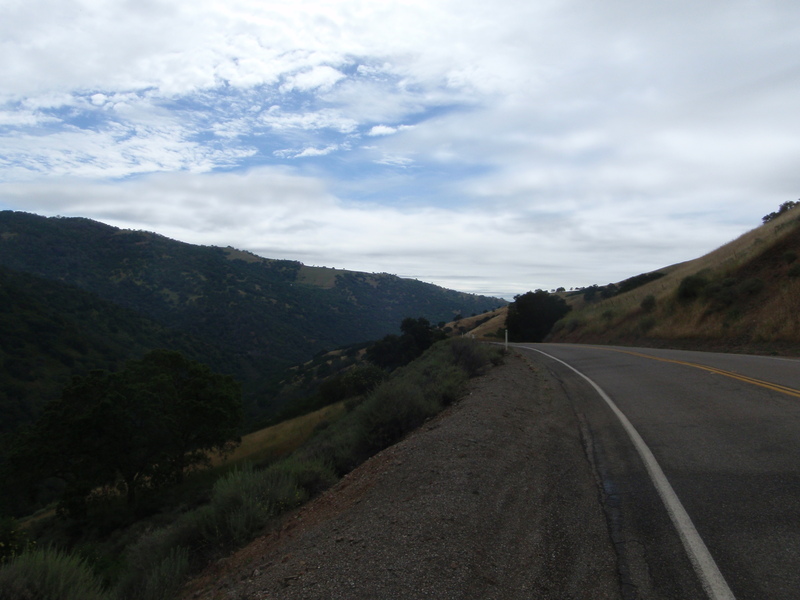 The climb out of the Junction is fine if you are not already completely exhausted and you haven’t stuffed yourself with a hamburger from the Junction Bar and Grill. I liked Mines road. The climbs are fine. People were camped out on the side of Mines at the tops of the little climbs and they cheered me as I rode by. 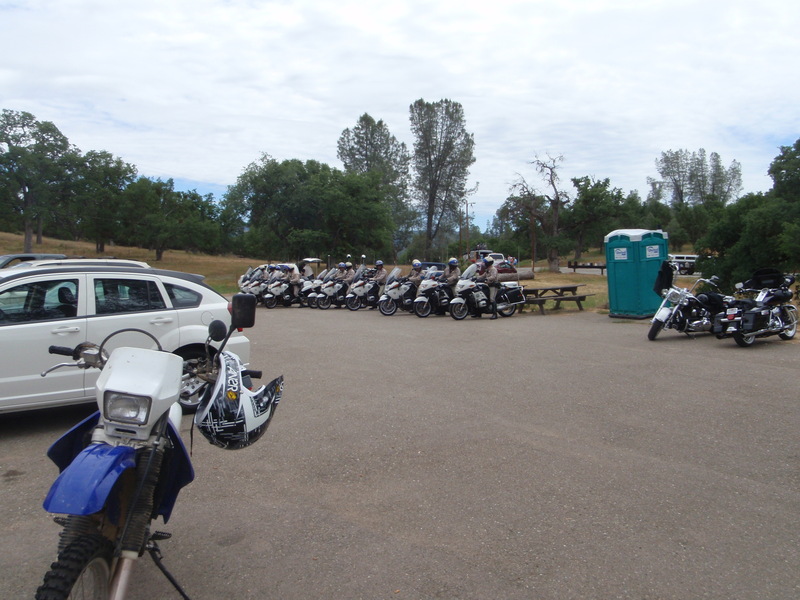 The Junction parking lot was full of Santa Clara Sheriffs, sheriff department cars, sheriff department motorcycles, and department dirt bikes. The dirt bikes were a surprise to me. The locals in the bar were quite offended by the spectacle. They were offended that people they didn’t know were showing up at the Junction, they were offended at men in lycra (“the bar’s turned gay”), and they were offended at the presence of the sheriff’s department. “Today would be a good day to rob a bank. Look at them out there. These hills are full of marijuana fields being grown by Mexicans and the cops are just sitting here.” They blamed Obama for this travesty and spent a lot of time talking about wasting tax payers’ dollars. In general, they seemed to be having themselves a fabulous time complaining as they drank beers at noon on a Wednesday. I, myself, was working only a two day work week that week, and was greatly enjoying myself as I ate my bowl of chili and blazingly eavesdropped on these men’s discussion. 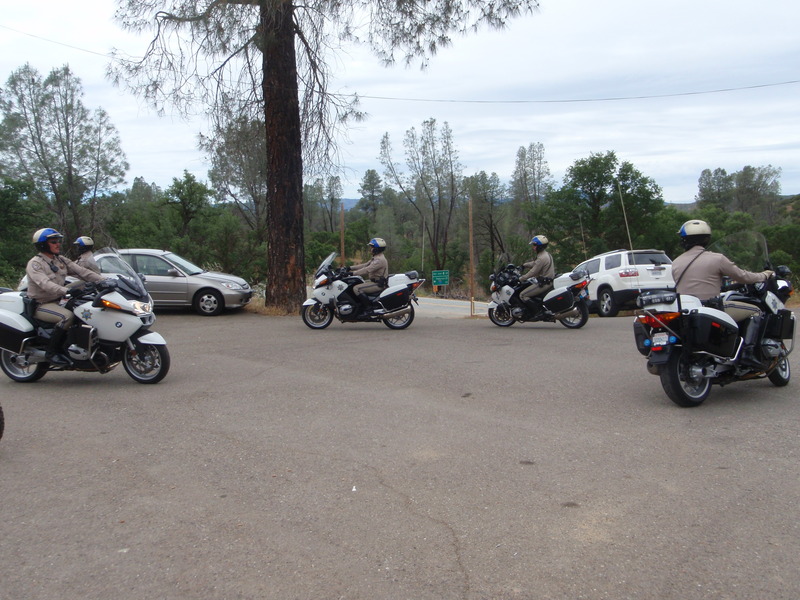 After a while, about a dozen California Highway Patrol motorcycle cops showed up. They paraded into the parking lot, each one following the other exactly as they made an unnecessary loop around the parking lot. They then all lined up and then back up in unison, like the Rockettes on wheels in Cop uniforms. The beers-at-noon-on-Wednesday guys were stunned and unable to speak for several minutes after this spectacle. The sheriffs were highly amused and pretty soon everyone was in agreement of what a waste of tax-payers’ money THAT was. After a while I took myself off to stand in the street corner to see the action better, if it were ever to appear. Mines road has no cell coverage, so we were all in the dark about where the cyclist were. The cops seemed only slight better informed and kept us updated as they learned more. The people out were all pretty diehard fans and talked happily about all the other Tour of Californias they had seen and where they had stood to see them fly by. One man bragged proudly that he was going to see the stage at big Bear and everyone sighed in envy. 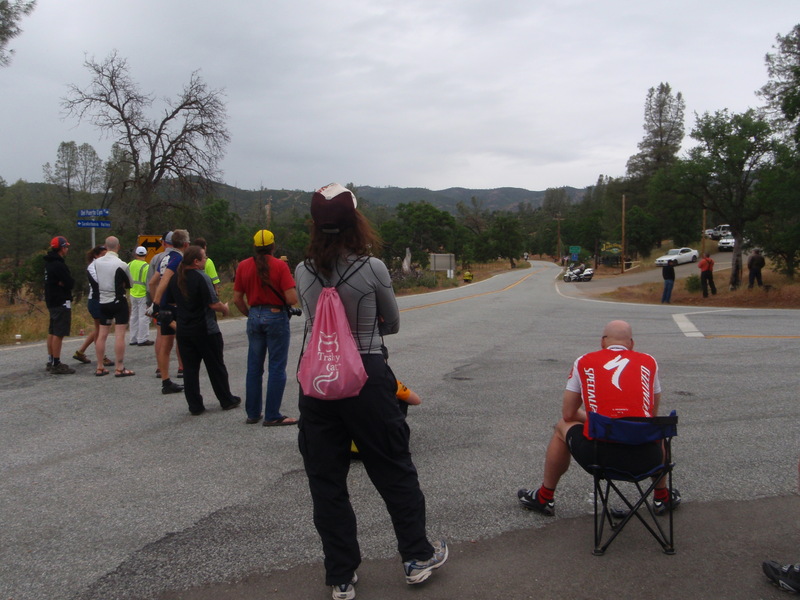 Many of the spectators had seen either the start or Sierra road and then drove like crazy to get over the mountain to this site to see the cyclist one more time. One man was one of those people obsessed with time and distance. He was very interested in different ways to get places and what the travel time versus the actual number of miles each route would entail. I was with him for about an hour and he spouted out those types of numbers repeatedly. Now since I am a cyclist, this type of discussion is exactly the type of conversation I can get my teeth into and I argued with him amicably about some of the distances, both of us convinced of our own numbers. One extremely fit looking couple spent the hour waiting bemoaning gleefully that they were neglecting their children. They had taken the past 3 days off from work to see the race and had been leaving their children with neighbors. I was sure that I had seen the man before. They clearly looked like cyclists and were in fact avid cyclists. I kept trying to place him – I knew from somewhere surely. I finally determined that I did not know him. He was one of those men who simply look like a cyclist- very Lance Armstrong looking. -lean thin man, deep lines around his mouth despite not being that old, light brown hair that once was blond, tanned skin- you know the look. Personally I see the look all the time. The woman was deeply tan herself and her hair was fried from too much sun. All in all, they both looked terrific. They had driven over in their car and were wearing civvies, but they brought their bikes just in case a group ride broke out. This woman did a lot of name-dropping. They were friends with Horner. They had gone to a dinner and got to meet a bunch of the cyclist. “Cavendish was so nice. They all were so nice.” Her discussion reminded me of my friend James who would complain that people should not give more attention or value to people who are famous. He argues that our own friends are actually more valuable to us and we should not idolize people who really mean nothing to us. She was so happy, though, and arguing against such happiness is hard. -Especially hard coming from me, who hung around the junction for 2 hours waiting for a bunch of cyclist I don’t know to go by- simply because they are faster and more famous. 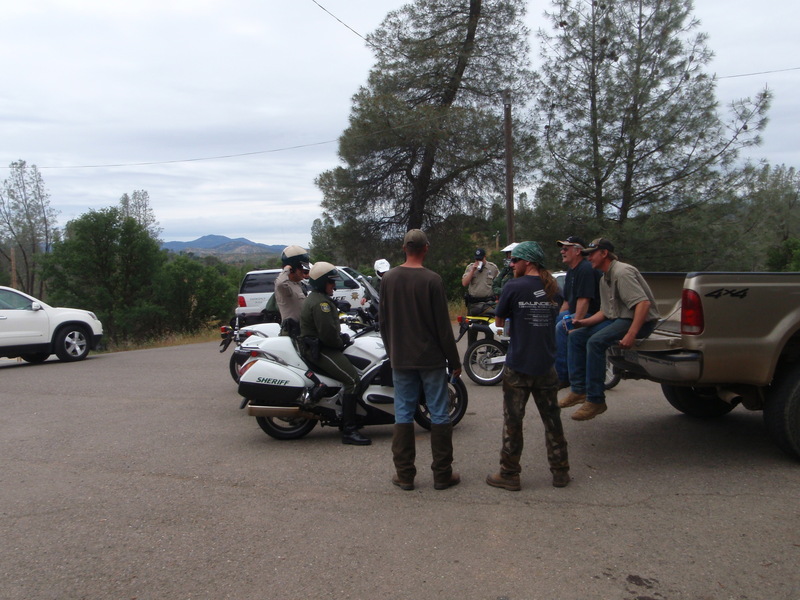 Cops, motorcycles, and support vehicles preceded the riders by about 25 minutes. Eventually an announcer van came by booming out the current race situation. The break had a 5:20 lead and the announcer listed off the teams represented in the break. That announcer was great. I was so happy they did that. We were all clueless otherwise. The break went by- no pictures- I was cheering too much and then about 5 minutes later the main pack. So, after waiting for 2 hours they went by in a little over 5 minutes and I got rained on. I then rode myself back home. On the way I helped a cyclist with a flat tire who had been dropped by his buddies and he lacked a pump (!?). I got home before dark and, though I got a bit wet, I wasn’t cold. The ride home was lovely. The greens were all muted by the rain. All in all, I was really glad I went and I had a good time. Race time seen: 5 min 30 seconds.